What is the best online grammar and punctuation checker tool? The best online grammar and punctuation checker tool is Grammarly. Trusted by millions of users to enhance their writing, this simple, yet robust grammar solution uses advanced AI technology to help you compose direct, clear, and error-free text. It also helps improve writing style and tone and even guide you in finding the most appropriate words to better express your message. How does poor grammar, bad spelling, and low-quality content affect your company’s credibility and overall bottom-line? The answer is—a lot. Error-filled websites and content tend to comprise the trust and interest of visitors. Likewise, too much grammatical and spelling errors discourage site visitors from linking to your site, hinder them from sharing your content, and even build up its bounce rate. 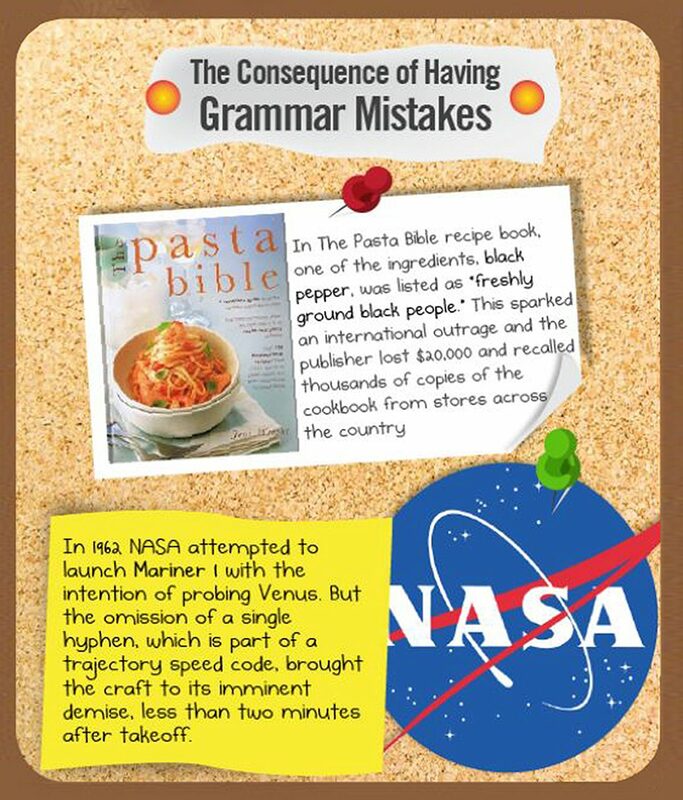 Consequences of textual mistakes are actually more damaging to your business than what you might initially think. This is among the reasons why we’ve prepared this article so you can readily see how important it is to use grammar and punctuation checker tools every time you write. For instance, one study found that most consumers are likely to look at a website’s quality of grammar or spelling, while more than half would avoid businesses whose websites have noticeable mistakes in spelling and grammar. Another survey discovered that poor grammar or spelling cause the most damage to how consumers perceive a brand. Best 15 Online Grammar and Punctuation Checker Tools 2019? For a long time, many organizations have lost hefty millions due to grammatical oversights. It’s no wonder why more and more businesses are using grammar checkers and punctuation checker tools to help improve the content quality of their websites. In fact, even unfavorable information can positively impact a brand as long as they are written correctly. Another study found that company websites with well-written product reviews tend to enjoy better sales compared to those with poorly written reviews. Proper spelling and grammar are also found to have a significant effect on how people perceive a person’s credibility, employability, and even help websites achieve a higher ranking. 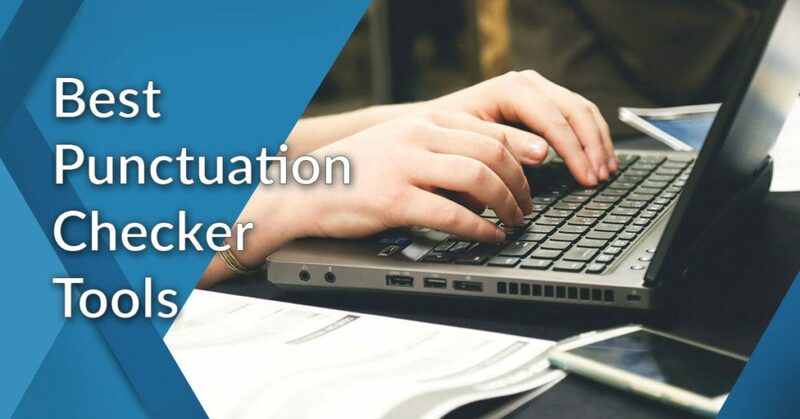 In this best 15 online grammar and punctuation checker tools 2019, we’ll explore key considerations when looking for a suitable application for your business. For one, a grammar checker and punctuation checker app must provide a robust and exhaustive grammar checking functionality that helps to enhance the overall quality of your content. Next, you must check whether you need an app for desktops or online or both before selecting one. Lastly, you have to choose a software that offers specific features that your business will likely need. And if you want to know more about what a grammar checker software is, you can check out this related article. Grammarly is an easy-to-use grammar and spelling checker that can be used online and in native apps to help you write clearly, effectively and error-free. With a robust algorithm to critically scan your text for ordinary and complicated errors, it then provides specific suggestions based on the context of your writing, covering all grammatical and writing conventions such as punctuation, tense and spelling to better word usage. Whether you’re writing just to complete a simple email or composing an important report to enhance your chances at promotion, Grammarly is designed to assist you to improve your written work. You can use this application as an installed add-on in your word processor or web browser, via the Grammarly Editor or by installing the Grammarly Keyboard for Android or iOS. When you write with Grammarly, it automatically identifies errors in punctuation, spelling, choice of words, voice, plagiarism, and other grammatical aspects then provide appropriate detailed corrections within the context of your writing. You can easily sign up for Grammarly free trial here. With over 400 checks, Grammarly isn’t just a preventive measure against writing oversights but is, in fact, a habit-forming system to improve your writing proficiency as you can keep track of your progress in your weekly usage reports. With this app, you’ll be aware of your recurring mistakes and help you refrain from making the same errors again. It also helps you improve your vocabulary and even guarantee that your text is plagiarism-free as it can counter-check content from over 16 billion web pages. Grammarly can be used online when you write emails, social media, and other online writing activity or with native apps in either Windows oriOS. It can be run in multiple devices and can be integrated with Microsoft Office applications. Premium rates start at $29.95 per month and it has a monthly, quarterly and annual plans. Reverso is an easy-to-use web-based grammar and spelling checker. It helps you achieve a good level of writing proficiency by correcting even the most awkward errors quickly and efficiently. It provides a number of relevant corrections and you are suggested to select one of them according to the context of your writing. Reverso also has a conjugator and grammar module to help you further hone your spelling skills. While it is programmed to provide efficient help in your writing, this app is also designed to provide only a limited number of suggested corrections to prevent over interference with your work to allow you to focus more on your writing. As such, some errors tend to be missed so users are suggested to still make a manual review of their work to ensure better quality results. Reverso offers a wide range of tools to help you elevate the level of your composition. It features several proofreading tools that include a spell checker, a dictionary and thesaurus, conjugator and translator. Reverso’s main online service is actually translation, so users can also avail of the grammar and spell checker in other languages such as Italian, Spanish, German, and French. Reverso is free with unlimited use but with ads. Its premium version is quote-based. Ginger Software is an automated grammar, punctuation, and spell checker tool for detecting and correcting grammar and word-level errors. It aims to improve your productivity by providing expert assistance to help you complete your writing tasks faster and more efficiently. It is designed to provide expert guidance in your offline and online writing tasks to ensure that you communicate clearly and with good quality. You only need to install Ginger Software on your desktop or mobile device and you can start using the app to begin enhancing your writing skills right away. Ginger Software, like many grammar and spelling checker tools, allows you to revise your writing as you type. You can correct an extensive range of grammatical errors, including style, sentence structure, word usage, punctuation, subject-verb agreement, and many more. As a productivity solution, it does more than detecting your grammar and spelling errors. Ginger Software also features additional writing tools such as a dictionary (to help increase your vocabulary), a sentence rephraser (to see various ways to phrase your sentence), a text reader, contextual translation (to allow you communicate in 50 different languages), and a personal language trainer. It runs on Windows, Mac, iOS, Android Keyboard, and Safari and Chrome web browsers. Premium rates start at $20.97 for a monthly plan. WhiteSmoke is an online, review-based editing checker, which automatically provides revision ideas that you can adopt or dismiss as you see fit. This editing software uses the combination of AI technology and natural language processing techniques to provide expert linguistic assistance for both newbies and advanced writers. WhiteSmoke has a simple, clutter-free user interface that makes it easy to address grammatical, stylistic and punctuation oversights. Editing suggestions appear over your writing space so as not to disturb your focus but at the same time alert you about the mistakes that must be addressed. WhiteSmoke offers a full line of language tools for individual and business use. Aside from a grammar checker, it also has editors for correcting sentence structure, Punctuation, and spelling errors. It also has an internal dictionary, anti-plagiarism tool, thesaurus, and a translator. Similar to a word-processor, it has a handful of templates for letters and various documents to help in preparing your text in preformatted templates. As an online app, WhiteSmoke runs on most popular browsers. It also supports mobile integration for both iOS and Android. Premium rates start at $9.95/month for desktop and $2.50/month for mobile. LanguageTool is an easy-to-use, open-source grammar and spell checker for more than 30 languages. This proofreading tool can be used virtually in any online platform, including offline applications like Microsoft Office and other open-source office programs. Individual and business users are encouraged to share new inputs in helping its error detection capabilities further expand. Its wide usage can be attributed to its capability to detect more mistakes that other similar platforms fail to identify. For English checking, for instance, it uses a proofreading engine of more than 1,700 patterns for error detection. LanguageTool is a handy tool for non-native speakers but is also efficient enough to detect textual errors that even native speakers typically commit. It also has a customizable dictionary function for special word exemptions to suit your writing preferences. Language tool can be integrated with browsers like Chrome, Firefox and websites, email clients such as Outlook, word processors/text such as Microsoft Word and Vim, and various applications of similar open source platforms like OpenOffice and LibreOffice. It can run as a stand-alone desktop program. Aside from English, it also supports many languages including Catalan, Dutch, Polish, Portuguese, Russian, French, German, Spanish, and Ukrainian. Its free version allows up to 2,500 characters per check, premium users have no character limit or document length. Paid plans start at $19.00 a month. If you’re looking for speed in a grammar checker, then PaperRater is a good option. This online language checking tool can return editing results a few seconds after you send your text. It uses AI and data science technology to go deep into your sentence structure and syntax to enable real-time text analysis and processing. This cloud-based grammar checker can be used without the need for users to sign-up or download anything. Its target users are primarily students and writers who need proofreading assistance fast to beat submission deadlines. Aside from correcting grammatical mistakes, this app also checks for punctuation errors, wrong spelling, word usage, sentence length, passive voice, and even for plagiarism. PaperRater was named as such because it offers an automated rating on the quality of your writing and provides valuable feedback to help you improve your writing. Its AI, Grendel, provides helpful writing tips to assist you to become a more proficient writer. It also has a separate Vocabulary Builder tool that makes word suggestions, definition, and usage in sentences. PaperRater works only with web browsers and doesn’t have a stand-alone app. Premium rates start at $11.21 a month. Hemingway Editor is a writing style checker designed to help you write legibly and articulately. It aims to primarily improve the overall readability of your writing. Using its Automated Readability Index technology, Hemingway Editor examines your text and rates it by grade level. This algorithm measures the overall readability of your writing according to a pre-set index of the minimum education necessary to understand your text. Using this app is simple. As you write, it highlights your sentences using different colors according to the nature of stylistic errors that must be enhanced. For instance, problematic sentences are highlighted in red, wordy ones are in yellow, etc. Other textual elements that need improvements, such as dry, intricate words, passive voice, unnecessary adverbs, etc., are also highlighted. It also checks your spelling and word count and helps in formatting your text. Hemingway Editor can be used online and offline, in Mac and Windows, and can be integrated with WordPress, Medium, HTML, and CMS. You can directly export your text from this app to various word processors like Word and Text. It’s paid (desktop) version is at $19.99. There are personal coaches for many things, why not have one for your writing proficiency? That’s what Pro Writing Aid aims to be—your own writing coach. This grammar checker goes beyond the typical editing and proofreading as it functions to be your grammar teacher, style checker, and writing coach in a single solution. Pro Writing Aid also identifies stylistic problems and helps you determine the most fitting approach to write your thoughts. This editing tool helps you to improve your writing faster through its automated style enhancement suggestions of thousands of style-related entries. Pro Writing Aid can generate a total of 25 reports on writing issues such as complex sentence structures, passive voice, excessive reliance on adverbs, improve word selection, and redundancies. Ultimately, it educates you as you check your written work, as it enables you to identify and eventually remove typical errors and negative writing habits. Pro Writing Aid runs in Mac and Windows and in both online and offline apps including Microsoft Word, Google Docs and open source word processors, browsers like Chrome, among others. Premium plans start at $50 a year. Online Correction.com is a web-based writing editing platform that is clean, straightforward and free. Based on several language apps such as Hunspell and Language Tool, this editing program can make simple grammar checking, detect stylistic issues, and identify spelling mistakes. It supports both automatic and manual automatic correction of writing errors, based on user preference. This is a good option for students and small business owners who prefer inexpensive yet efficient ways to improve their writing skills and produce error-free documents and reports. Online Correction.com’s UI is clean and easy to use. You only need to either type in or paste the text for checking, click the Submit button, and a results page will be created containing all detected errors and revision suggestions that you can either accept or reject. While it only works with English, you can choose from several related dialects such as British English, New Zealand English, Australian English, South African English, and American English. This free online app only edits in English, but it provides links for editing in other languages such as for Russian, Polish, Spanish, French, and German texts. Grammar Slammer is an English language correction tool in a clean, user-friend format. It uses a simple interface that looks like a web page to allow users to easily search for language editing and grammatical rules that you need to get accustomed with. It has the same features as most grammar, spelling, style, and punctuation checkers but also has a handy, comprehensive glossary of grammatical and writing rules. Using Grammar Slammer is like having an automated proofreading tool and a grammar book in one. It is designed to provide proofreading assistance and at the same time a teaching mechanism that provides not just grammatical, stylistic and spelling suggestions but also an extensive range of linguistic information that serious English language learners are likely to appreciate. Its proofreading features allow editing grammar errors, punctuation issues, word usage, writing style, abbreviations, capitalization, and other common writing oversights. To use this program, you need to download (or purchase) it, and it doesn’t have any online version. Grammar Slammer works in Windows, Mac, and Linux. The registered version of Grammar Slammer (grammar help only, no checkers) costs $25.00. Spell Check Plus is an intuitive online English language editing platform that examines your writing and provides helpful editing suggestions. While language apps generally seek to provide fast editing services, this tool is unconventional as it works to collaborate with English writers on a deliberate learning process to enable true learning experience. Based on a process-writing strategy to language learning, Spell Check Plus uses an editing approach done in several stages or a series of interactions to enable learners to understand the reasons behind their writing mistakes and prevent them from doing the same errors again. Although designed to help newbies, expert writers can also appreciate the help this tool provides. This tool can identify a wide range of common and hard-to-detect writing mistakes. These include errors in capitalization, punctuation, spelling, word usage, generally confused words, words with similar pronunciation, as well as the most common mistakes of ESL learners. This writing editor is a web-based application and can only be deployed in browsers such as Chrome and Firefox. It doesn’t support any integration with other programs such as Microsoft Word or other word processors. This app is free, while its premium version, SpellCheckPlus Pro, is at $15 a year. Virtual Writing Tutor is a free online writing checker primarily designed to support web-based ESL teaching. It helps users check punctuation, spelling, and grammar, self-examine target structure usage, improve English pronunciation proficiency, calculate word count, enhance word selection, and assess paraphrasing. Powered by a modified LanguageTool system, this web-based application also educates trainee teachers and learners on how to be efficient proofreaders using an entertaining mistake editing game. Both ESL instructors and students will likely appreciate Virtual Writing Tutor’s extensive features. These include correcting contextual spelling, pronunciation, and grammatical mistakes, an essay outliner, and reviewing conversational versus academic vocabulary, clichés and power words, academic field-specific vocabulary, and sentence target structures. You can also hear how your text’s pronunciation with text-to-speech tool as well as checking your paraphrased text to prevent plagiarism. Feedback histories can be retrieved and printed for better monitoring of your ESL learning progress. It employs speech recognition to allow hands-free usage and for pronunciation checking and offers a grammar checking API service for developers. This platform is supported by its own Virtual Writing Tutor community for discussions on various ESL-related issues and additional grammar checking concerns. This service is 100% free but you must register first to use it. Slick Write is another free online editing platform for checking errors in grammar and other writing mistakes. As long as you’re online, you can readily use this web-based language editor as it doesn’t require any installation or downloading. It is also quite fast as you can finish your editing in less than a minute per batch of approximately 30,000-word limit. If you’re editing a long content, you need to divide it into smaller units to take advantage of the quick editing results. As a free editing service, Slick Write is ideal for students, bloggers, SMB and other users seeking to enhance their writing quality. Aside from providing straightforward proofreading assistance, Slick Write can be personalized to better address your writing context. This platform is totally free, but the extent of language enhancement tools it offers is quite extensive. These include stylistic analysis, writing progress and statistical reports, vocabulary words, sentence flow, and an associator (thesaurus). Overall, Slick Write is designed to help writers learn the ways of effective writing. This online platform runs as extensions on Firefox and Chrome as well as on Google Docs, WordPress and in many text boxes. AutoCrit is an online manuscript editing platform designed exclusively for novelists. So if you’re an established or budding fiction writer, you should try this software. It aims to provide editing assistance to writers to address their typical struggles of completing the entire manuscript process. It offers a cost-effective and time-saving approach by providing an automatic approach for those tiresome editing tasks, thus allowing you to focus more on enhancing the overall quality of your work. AutoCrit’s AI is designed to make genre-specific editing recommendations, thus ensuring that revisions are made to enhance your work by integrating a dynamic narrative that can capture your reader’s attention and appreciation. This unique editing software helps you write better in several ways. For instance, it determines issues in how you write dialogues and provide suggestions on how to arrive at genuine, absorbing written conversations. It also helps in making your prose more powerful by getting rid of common errors in writing styles, especially early on with your initial drafts. Other functionalities include eliminating excessive use of adverbs, removing unnecessary filler words and phrases and clichés, and removing redundancies. A cloud-based app, AutoCrit runs only in your web browser. It cannot be integrated with popular word processors, so it doesn’t support offline editing. Paid (no-contract) membership is at $30 a month. After the Deadline is a simple yet efficient open source online language checker. It aims to help you improve your writing skills by allowing you to focus more on your writing by spending less time editing it. It uses AI and natural language processing technology for checking grammar, writing style, and spelling and to offer relevant suggestions. It has a dedicated grammar, style, and spelling checker at http://www.polishmywriting.com. As an open source app, users have the option to embed it into a platform and even modify it to suit your specific editing needs. It is available in various online platforms as a proofreader on WordPress.com, a plugin for self-hosted WordPress blogs, IntenseDebate comment system, and bbPress forums. You can also use After the Deadline as an extension for Chrome, an add-on for Firefox and a bookmarklet for other browsers. It can be integrated as an extension for Writer, OpenOffice.org’s word processor. Aside from English, it also supports grammar, style, and spell checking in Spanish, Portuguese, German, and French. It is free for personal use. For commercial purposes, businesses are suggested to use its free server software. Same as writing a perfect email or marketing content, searching for the grammar and punctuation checker that suits your needs is also not that easy. The good news, however, is that there are plenty of good and dependable grammar and punctuation tools in the market today, but finding the perfect one that suits your needs and budget does take time and effort. Make a shortlist of your writing needs. The best place to start is by talking with your team and asking them the most common writing challenges they usually encounter whenever they write. Should you buy a grammar software or just hire an editor? Publishing firms and online content providers are known to employ professional editors and prolific writers and that’s something very normal and justified. But if you’re a start-up e-commerce marketing firm with very limited resources, hiring an editor is not the logical way to go. The sound, correct approach in this regard is to have an efficient grammar tool that addresses your business needs. Compare vendors’ prices versus this additional technology spend. Buying any new software for your operations is always a serious business decision so you must take adequate time to counter-check the prices of the various software vendors against the budget that you can allocate for this software tool. Select a few apps in the category that offer a free trial. One of the great benefits of Saas is that most vendors offer free trials so you should try some of the solutions first, evaluate each app’s performance versus your actual needs, brainstorm with your team for additional inputs, and then make that final purchasing decision. Take note of some important considerations like features, grammar checking efficiency, resource use, online/cloud-based vs. on-premise, price, etc. You can also check out our 20 Best Grammar Checker Software Solutions for 2019 if you want to know more of the top software in the grammar checker category. Finally, in case you want to test drive today’s best grammar and punctuation checker, you can easily sign up for a Grammarly free trial here.